Spending 4 days in India, covering the popular Golden Triangle Tour which consists of three major tourist destinations, was indeed a wonderful adventure for me. 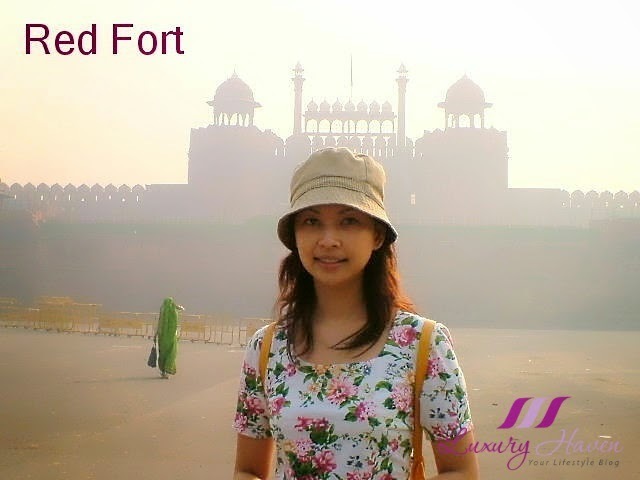 Delhi, Agra and Jaipur is a must-visit if you intend to explore India. With the recent negative news of India, I'm not sure if it's still safe for us ladies to spend our vacation there. I was really fortunate to be able to enjoy these places of interest before the news outbreak. Honestly, I'm not sure if I'm daring enough to make the trip again as much as I like. 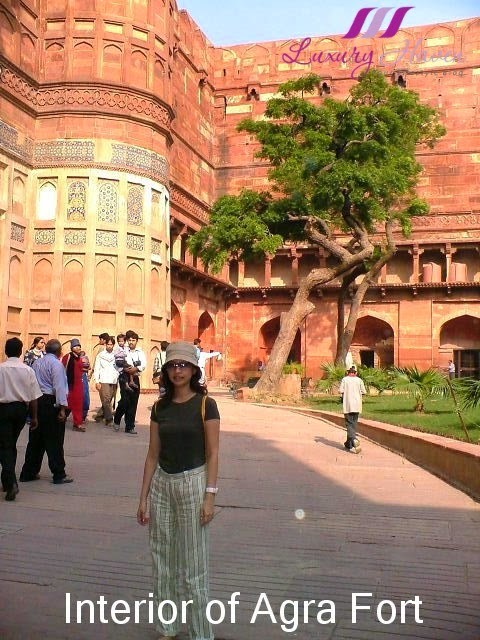 Besides the magnificent Taj Mahal, another unparalleled beauty is the Agra Fort, which can be more accurately described as a walled palatial city. 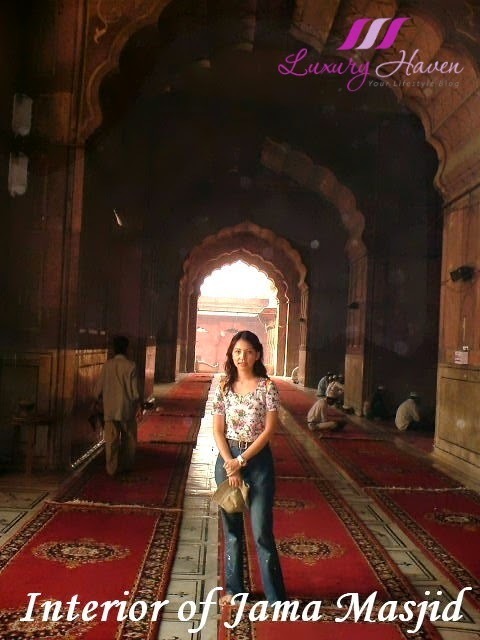 Do you like this scenic postcard from Agra? 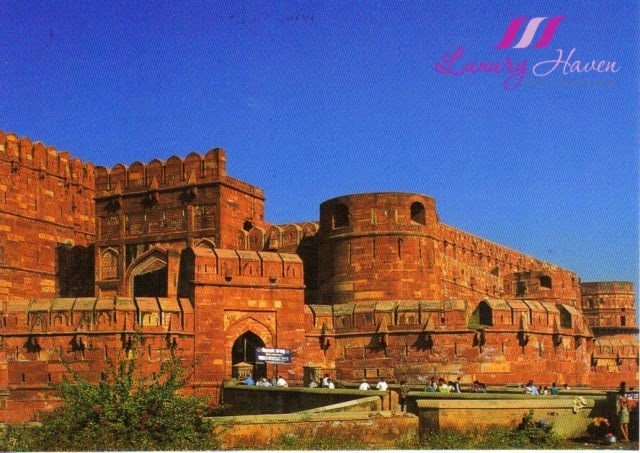 Agra Fort is another UNESCO World Heritage site; located in Agra, Uttar Pradesh, India. 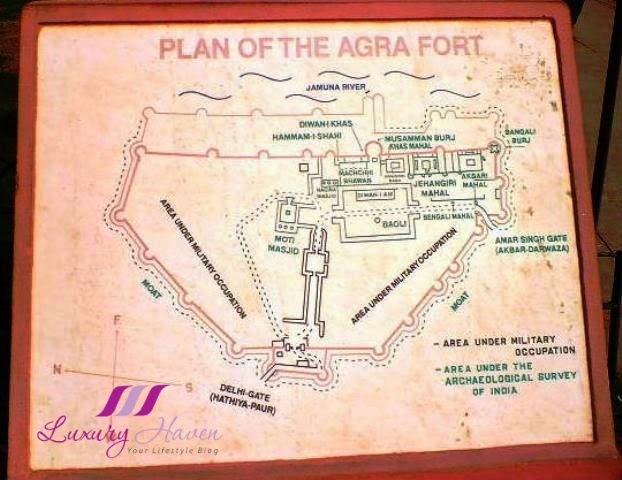 Also known as as Lal Qila, Fort Rouge and Red Fort of Agra, this powerful fortress of red sandstone encompasses, within its 2.5-km-long enclosure walls, the imperial city of the Mughal rulers. During my trip, I also got to visit Jama Masjid, which is the largest mosque in India with a courtyard capable of holding 25,000 devotees. Interestingly, tourists here can hire robes at the northern gate, which means it may be the only time you get to dress like a local. 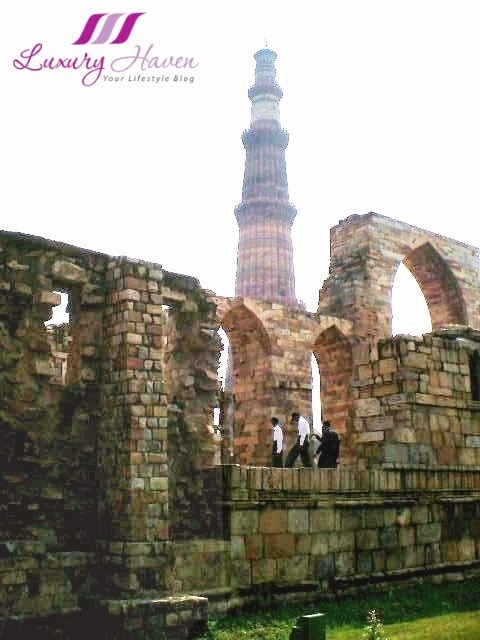 Another popular attraction is the Qutab Minar, a 5-storey soaring 73m high tower of victory built in 1193. 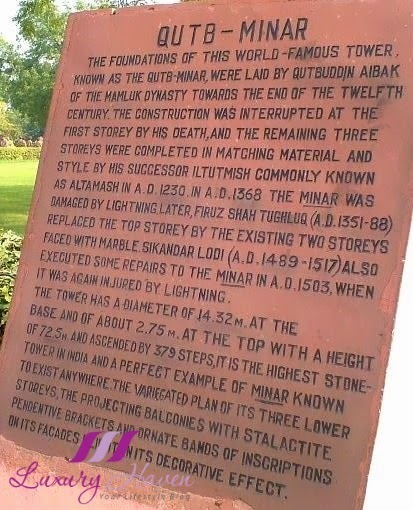 The red sandstone and marble tower is originally an early Islamic Monument inscribed with Arabic inscriptions, and is a UNESCO World Heritage Site. Well if you do visit India, be prepared for all its dirt, traffic, crowds and maybe culture shock. As Singapore is a law-abiding country, you'll never get to see a scene like this family of 5 riding on a motorcycle here. What about in your country? Very splendid indeed! As beautiful as you, are you serious, these are taken 4 years ago? Mmm.... you didn't seems to age a bit.......ah..... 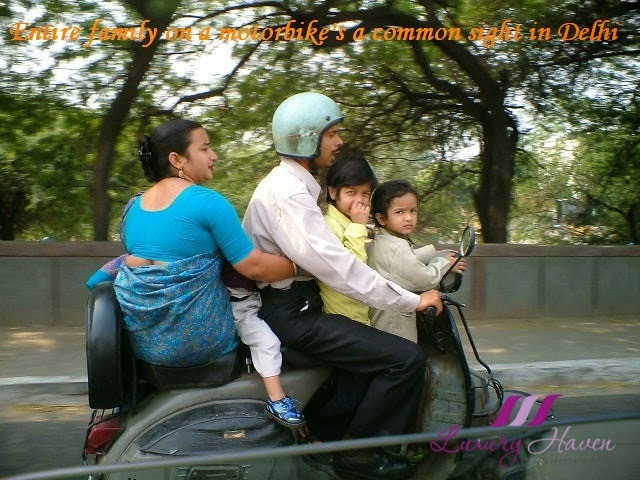 I saw that whole family on a motor bike scene before too....... but in Vietnam...... and it make my jaw almost drop..... haha! DS, apology for the poor quality of the photos probably due to the shaky hands of my tour guide. Lol! Thanks for the sweet note! Ken, I've a very good local guide whom I'd hired from SG who took me to places by private car. Thanks for sharing your photos and experience Shirley! I hope to be able to visit the Taj Mahal one day. Rowena, glad you've enjoyed the post! I love the top that you are wearing, I agree with you about traffic and pollution in India. Subha, thanks sweetie! More efforts should be put in to tackle those problems I guess. Looks like you had so much fun. GZ, sure do! Gonna check you out soon! India is a very beautiful country with wonderful building and colourful culture. Different said for its security and gender inequality. I wouldnt dare to go to India in near future. Rose, I guess it's should be ok if you bring along your bodyguards. Hahaha! Louise, thanks dear! My heart went out for the family who rode on the bike. What if they fall? Anggun, I would definitely love to revisit if things there turn for the better. Well, I haven't seen with my own eyes of 5 people riding on a motorcycle, but in Indonesia I've seen at least a family of 3 riding on a motorcycle together. However, if the police see that, you'll get a penalty. Mitch, 5 is crazy! I've seen 3 in some other countries, & also some do not enforce the rules of wearing helmets. Lol! Hope you had an amazing time here in India & about the problems faces by women. GFC, Bloglovin & Google+? Lemme know! I haven't heard of anything going on in India right now. But it is one of the places I'd like to travel to. I will make sure any bad news about India are gone before I go.India looks great. Diana, one of the greatest attractions around! Amazing places to visit. I'm gonna plan a trip soon. Nava, hope you'll have fun! Rosh, I'd a good trip especially with a wonderful local Indian guide. Masja, the places are beautiful! awesome trip Shirley! Love to visit India soon...maybe with friends rather than travel there alone like my usual travelling style. Cindy, definitely safer with some friends around with the recent spat of negative news. Gabrielle, thank you dear! I like my motorbike shot! Hahaha! Great trip, In Malaysia so far I've seen up to 4 people on a bike. 5 people is a record to break. Haha! SD, 4 in M'sia? I'm surprised! I would like to visit India. I'm also a fan of Bollywood movie. Have always seen the beautiful places from the film but never get a chance to visit there. What a beautiful place, Shirley. I'm inspired to travel! What's your ideal getaway? I love historical things and my friends will not want to travel with me as I might spend hours at the ancient sites or any museums! I am telling the truths. 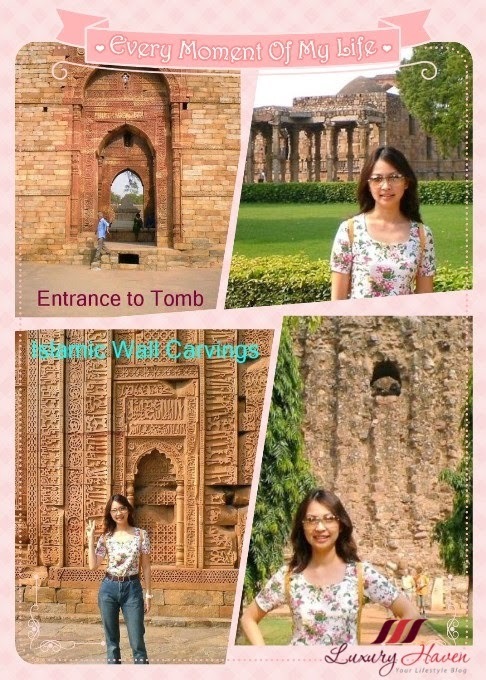 After seeing the historical places in several countries, I realised I could connect well with more interest with those in China which often have well preserved buildings like this Taj Mahal. That's why I went to China like 3-4 times yearly until my pocket had a big hole. It might have something to do with our Chinese origins and ancestors that prompted me to cover China. Tan, hahaha! I don't think we can travel together too as I won't be able to stay for hours in museums! Guess I'm the opposite, I don't like to travel to China if possible. Sigh! Hong, it's certainly a wonderful place to visit! 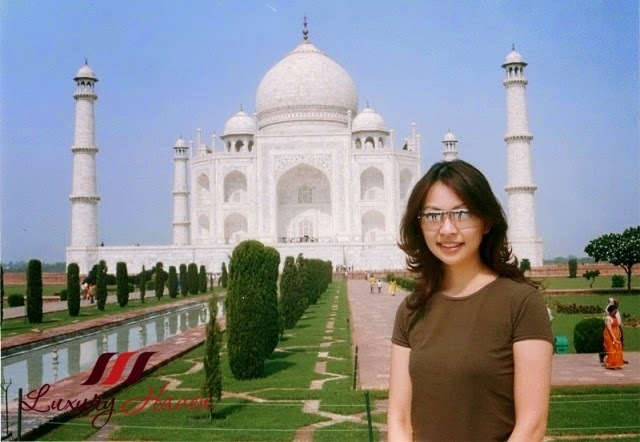 Taj Mahal is so beautiful, looking fwd to visit India. Thanks for sharing this, Shirley! Jason, I'm sure you'll love the landscape! Happy Sunday! Great places for tour trip.